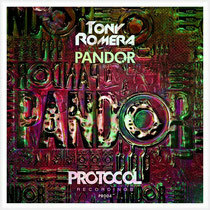 Nicky Romero’s Protocol Recordings label recently released a preview of Tony Romera’s track ‘Pandor’. Following up his remix of ‘Iron’, ‘Pandor’ marks the first release under Protocol Recordings that's not produced by Nicky Romero. The track will be out on Beatport on December 3. Named as the “second best French hope in 2012” by the French magazine Only For DJs, Tony Romera is the latest addition to the Protocol Recordings family. After seeing success of past Protocol releases the label is capping off its first year by making strides to establish a strong foundation for 2013. Previously introduced on an episode of Nicky’s Protocol radio, Tony sparingly introduces a melody that quickly ascends into an intricate crescendo that yields vicious electro house instrumentation. Check it out below.